Big Top Bubbles – Good clean fun for your next party or event. Bubbles energize your party—kids love to chase and pop bubbles! It’s active outdoor play that sends kids home happy. 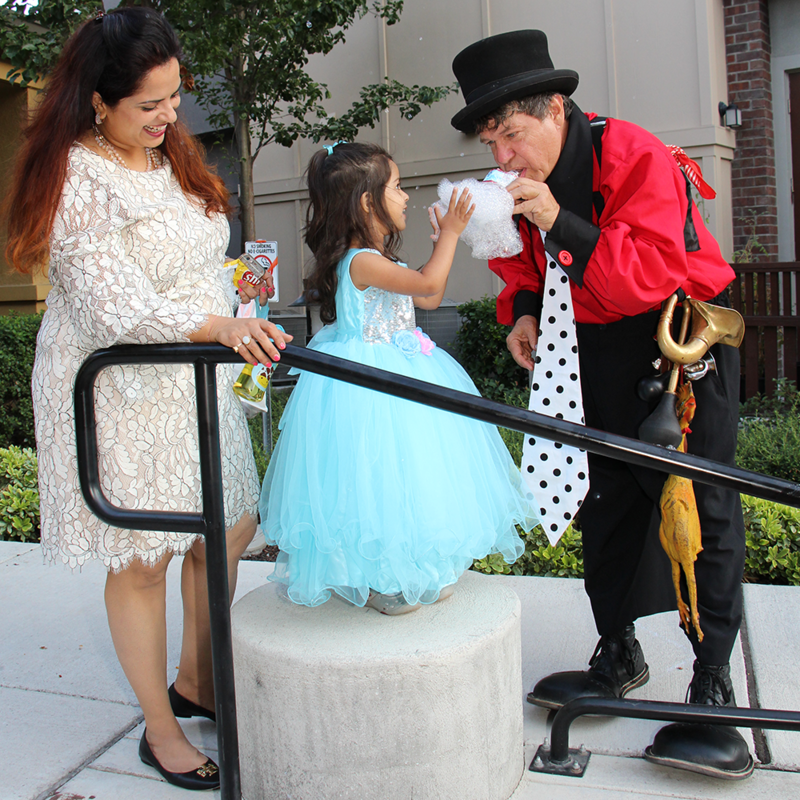 You sit back and relax as “Frowny Joseph” (Hernan Cortez) enlivens your party with amazing bubbles and magic fun! 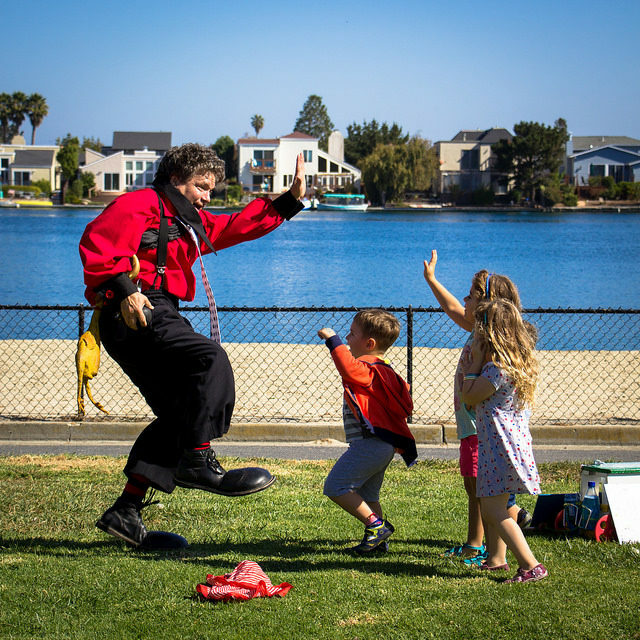 Delight your guests with the most unique kids entertainment package in the Bay Area! 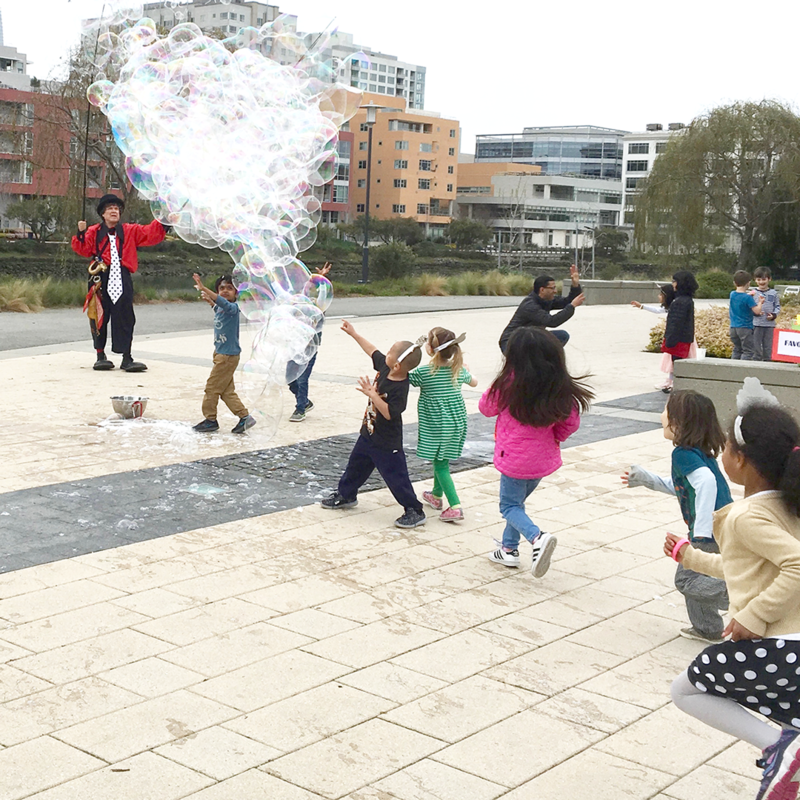 Get the joy of the circus with the enchantment of giant soap bubbles. Just tell us the time and location of your party—and your entertainment work is completely done! Custom options and additional bubblers are available to add even more fun! Book early—weekend dates often fill months in advance! Check out our video to see us in action! Don’t miss out! Book early to reserve your special day! Our available spots often fill three to six months in advance, especially during spring and summer! You were both incredible and amazing. Everyone loved your performance. We are so pleased that you were the ones to make the party wonderful for [our children] and all their friends. Thank you for that magical experience. We are both so happy with how everything turned out. He is great with kids and he even impressed the adults. Besides the cool bubbles he also did comedy which was an icing on the cake. Kids laughed for the whole 90 minutes and played with tons of bubbles. Hernan is very professional and came right on time. I would love to hire him again. We had Hernan perform at my son’s 3-years old birthday party and the kids loved him. He came to the party before time, fully prepared and started engaging the kids from the start. Both kids and adults were extremely impressed by the gaint bubbles, running after them and trying to pop them. Hernan had all the kids follow him around, making them laugh with his clowning skills. Bubble theater is a unique and new entertainment and I definitely recommend it and Hernan to wow your guests. It also makes beautiful pictures!